Palo Alto, Calif. – May 16, 2017 – Tired of writing checks? Chasing down payment? Wondering when was the last time your horse saw the dentist? At last, there is a solution for all your problems: The PonyApp! 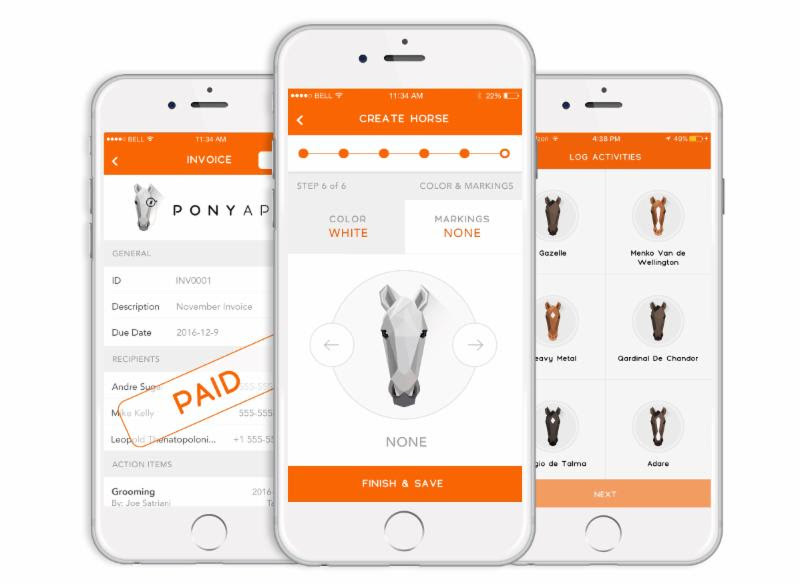 US Olympian Lucy Davis and partner Lindsay Douglass launched Ponyapp this winter to provide an easy solution for horse care clients and professionals across the globe. 1. Log important horse activities. 2. Set reminders for things like vaccinations, farrier visits, registration renewals, etc. 3. Upload vet reports, x-rays, or any other important documents. 4. Read articles, watch videos and review results from the top sport. 5. Invoice on its direct (and secure) payment platform…Pay and get paid!! Should you take the risk? ALWAYS. Check it out! It’s free, and we guarantee you won’t regret it!